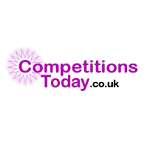 Enter this free competition on the MyOffers website for your chance to win a Fiat Abarth 595. The lucky winner will be able to choose from any of these prizes: a Fiat Abarth 595 Competizione, a Volkswagen T-Roc, a Ford Focus, a Mazda MX-5 Convertible, His and Hers Scooters, Vespa GTS 300, a Mini Countryman Cooper, a Nissan Navara Pick-up Truck or a Smart ForTwo ED Hatchback. As part of the entry process, you'll need to answer a series of questionnaire/survey type questions. The more questionannaires you fill in, the more entries you'll receive. We got entered into some other draws without realising when we entered this comp.